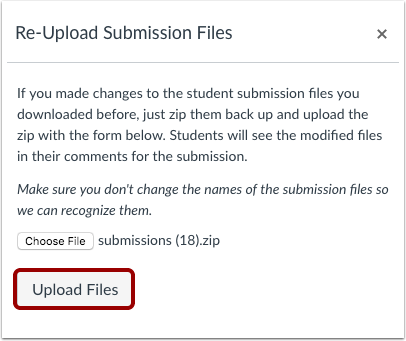 When you download all student submissions from the Gradebook, you can re-upload the assignment submissions as a bulk upload in your course. Please make sure you have not changed the names of the submission files from your bulk download. If the file names are changed, please rename them to match how they appeared in the download. 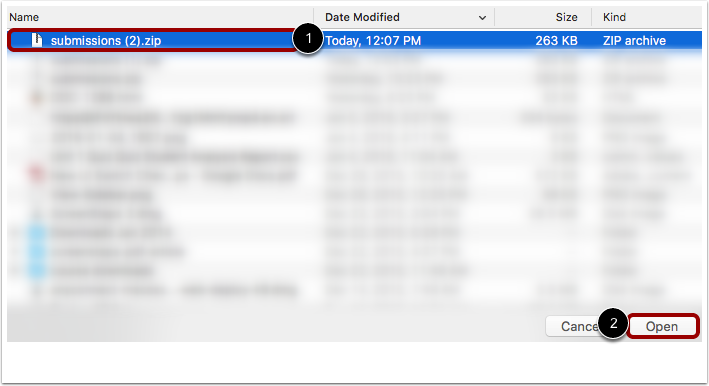 With different file names, Canvas will not be able to recognize the files that should be replaced. Files must be compressed as a ZIP file for upload. If you are not sure how to create a ZIP file, please contact your administrator or consult your computer's software manual. For best results, please upload submission files in their original format. For instance, if you download a Word document as a .doc, do not convert the file to a .docx. Click the Re-Upload Submissions link. Click the file name to choose the file . Then click the Open button . Canvas will confirm your files have been uploaded and associated with student submissions. If any files were ignored in the upload, those files will also be listed. Note: Depending on your computer's operating system, your upload may include hidden files with a ._ prefix. 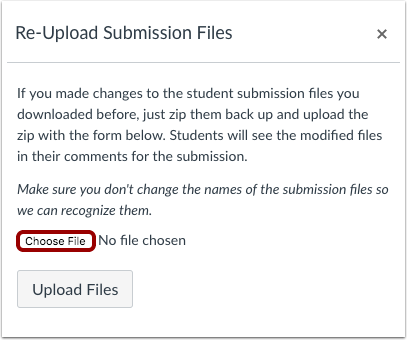 Canvas will ignore these types of files, as well as any files that do not match the file name of any students' original submission. 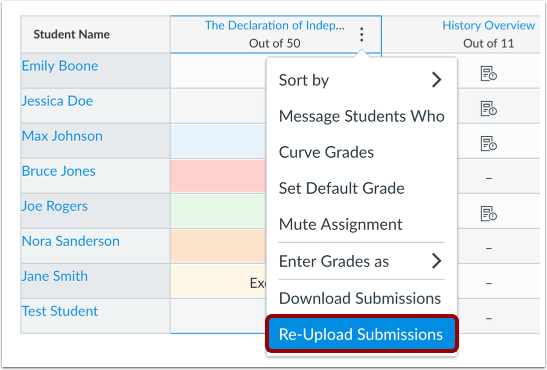 Previous Topic:How do I download all student submissions for an assignment in the New Gradebook? 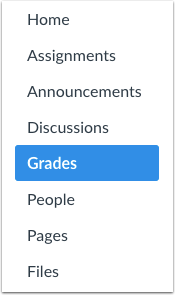 Next Topic:How do I enter and edit grades in the New Gradebook? 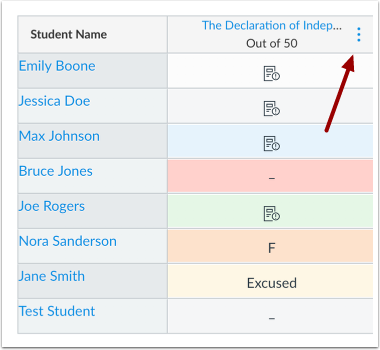 Table of Contents > New Gradebook > How do I upload all student submissions for an assignment in the New Gradebook?